Saturday, May 27 • 2–7:15 p.m.
Moonlight became the first film with an all-black cast and the first LGBT film to win Academy Award for Best Picture. This drama charts the life of a black gay youth named Chiron as he grows up in a rough neighborhood in Miami. In the first segment, Chiron is a ten-year-old nicknamed "Little" (Alex Hibbert) who is taken in by a kindhearted Cuban drug dealer (Mahershala Ali) and his girlfriend (Janelle Monáe). In the middle installment, a teenage Chiron (Ashton Sanders) explores his sexuality as he falls in love with a close friend. The final chapter follows Chiron in his twenties (Trevante Rhodes) as he reconnects with faces from his past. 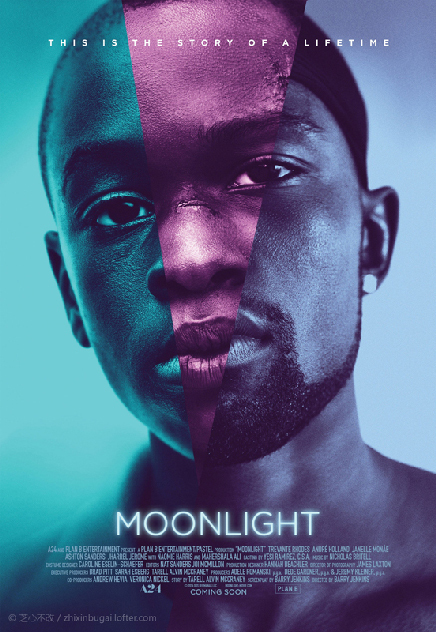 Directed by Barry Jenkins, Moonlight was adapted from a short play called In Moonlight Black Boys Look Blue by Tarell Alvin McCraney. The showing of Moonlight is made possible by the generous support of AARP Washington DC. The spectacular Kiki balls, a consistent component of the Kiki subculture, offer performers a safe and empowered space to enact various modes of gender expression, including a stylized femininity that, if executed in the communities in which they grew up in, could provoke ridicule and violence. Kiki scene-members range in age from young teens to 20’s, and many have been thrown out of their homes by their families or otherwise find themselves on the streets. As LGBTQ people-of-color, they constitute a minority within a minority. An alarming 50% of these young people are HIV positive. 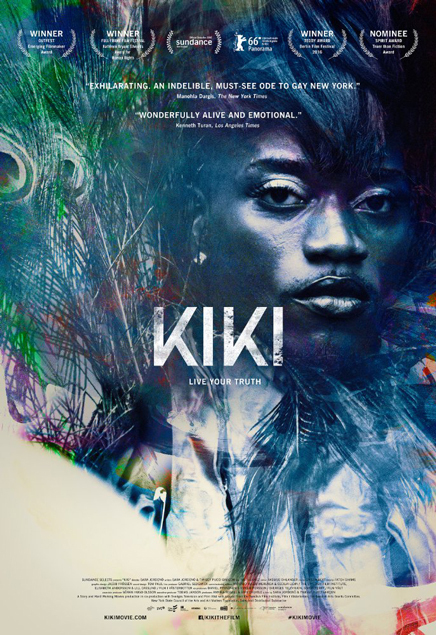 The Kiki scene was created within the LGBTQ youth-of- color community as a peer-led group offering alternative family systems (“houses”), HIV awareness teaching and testing, and performances geared towards self-agency. The scene has evolved into an important (and ever-growing) organization with governing rules, leaders and teams, now numbering hundreds of members in New York and across the U.S and Canada. Run by LGBTQ youth for LGBTQ youth, it draws strategies from the Civil Rights, Gay Rights and Black Power movements. In this film collaboration between Kiki gatekeeper, Twiggy Pucci Garçon, and Swedish filmmaker Sara Jordenö, viewers are granted exclusive access into this high-stakes world, where fierce Ballroom competitions serve as a gateway into conversations surrounding Black-and Trans-Lives Matter movements. This new generation of Ballroom youth use the motto, “Not About Us Without Us,” and KIKI in kind has been made with extensive support and trust from the community, including an exhilarating score by renowned Ballroom and Voguing Producer Collective Qween Beat. Twiggy and Sara’s insider-outsider approach to their stories breathes fresh life into the representation of a marginalized community who demand visibility and real political power. 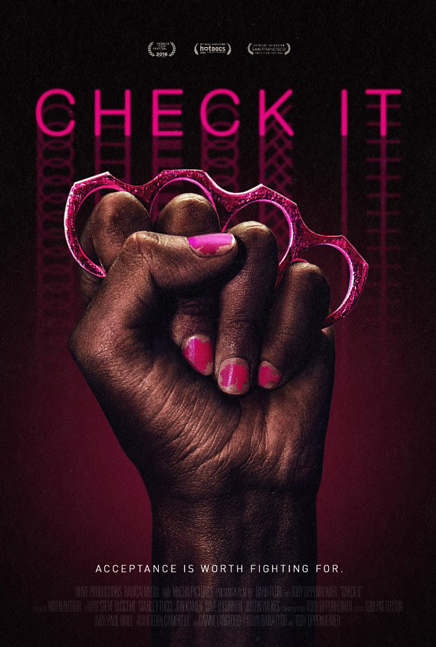 Check It is a feature–length documentary about a gay African American gang struggling to survive in one of Washington D.C.’s most violent neighborhoods. It is an intimate portrait of 5 childhood friends as they claw their way out of gang life through an unlikely avenue–fashion. Life for the Check It can be brutal, but – it’s also full of hope and an indomitable resilience. At its heart, Check It explores the undying friendship that exists be- tween these kids – an unbreakable bond that is tested every day as they fight to stand up for who they are in a community relentlessly trying to beat them down.